Sterling Oaks brick beauty. 4000 sq ft home backing up to open area and park. Custom paver brick patio. Double door entry to a 2 story foyer. Hardwood floors in kitchen, eating area and foyer. 1st floor with 9 ft ceilings and archways. Family room with fireplace. Large kitchen with loads of 42" cabinets, SS appliances and walk in pantry. 1st floor den with double doors. Huge loft area. Massive master bedroom with large walk-in closet. Master bath with 2 separate sinks, soaking tub and separate shower. Minutes to everything. 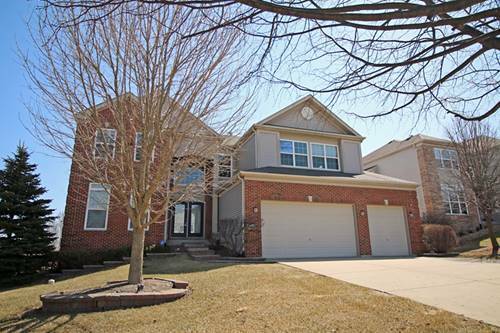 For more information about 322 English Oak, Streamwood, IL 60107 contact Urban Real Estate.